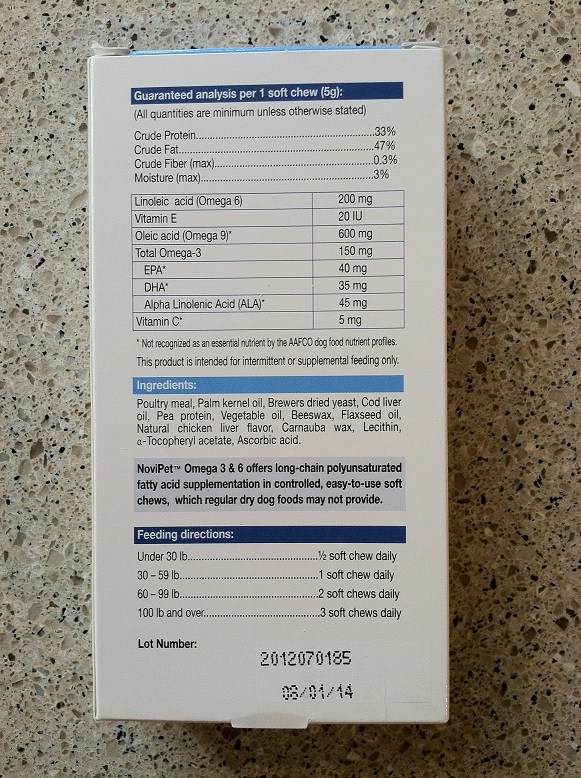 I’ve toyed with giving The Little Blogger other types of supplements, but haven’t come across anything that sparked my interest or that I felt was crucial. So, I was pretty excited when the folks at NoviPet contacted me and asked if Teton and I would like to test one of their new supplements. Of their three supplement types, I opted for the Omega 3 & 6 (Healthy Skin and Beautiful Coat) formula. I chose this formula because Teton has luscious locks that chicks dig, so it’s important to keep him looking fresh. Omega-3 and omega-6 are essential fatty acids found mainly in fish. They promote healthy skin and hair (or, in this case, fur). 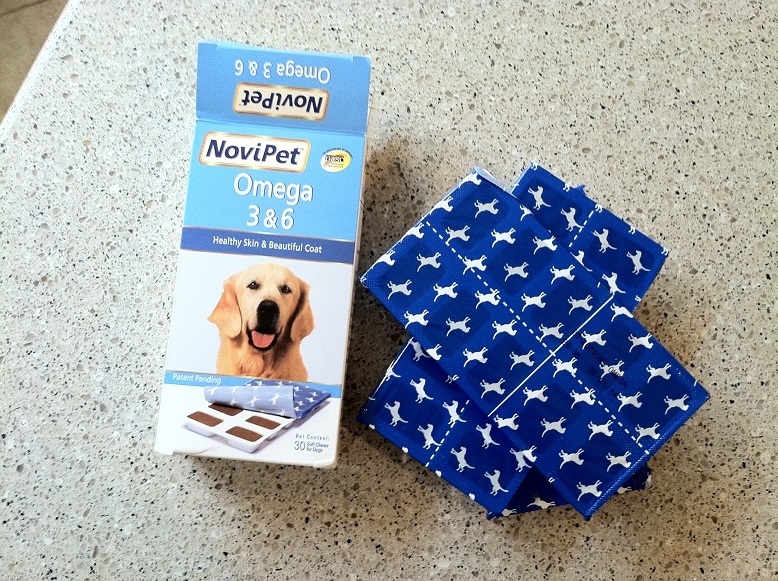 Each Omega 3 & 6 package contains 30 soft chew supplements. Teton weighs 39.5 pounds (to be exact) so he gets 1 chew a day, which means that one package lasts us a month. For $11.99 per package, I think that’s pretty reasonable for a supplement. However, I just started giving the Omega 3 & 6 supplement to Teton, so I’ll let you know if I plan on continuing to give it to him in a month. I don’t have any major complaints regarding the ingredients, and Teton seems to like the taste. The first time I gave him one he promptly rolled on it for a good three minutes and then proceeded to eat it. It must have smelled amazing (must be that poultry meal and chicken liver) because that’s the one and only time he’s ever rolled in a treat before eating it. NoviPet suggests keeping their supplements in the refrigerator to maintain freshness, which I don’t have a problem with at all. 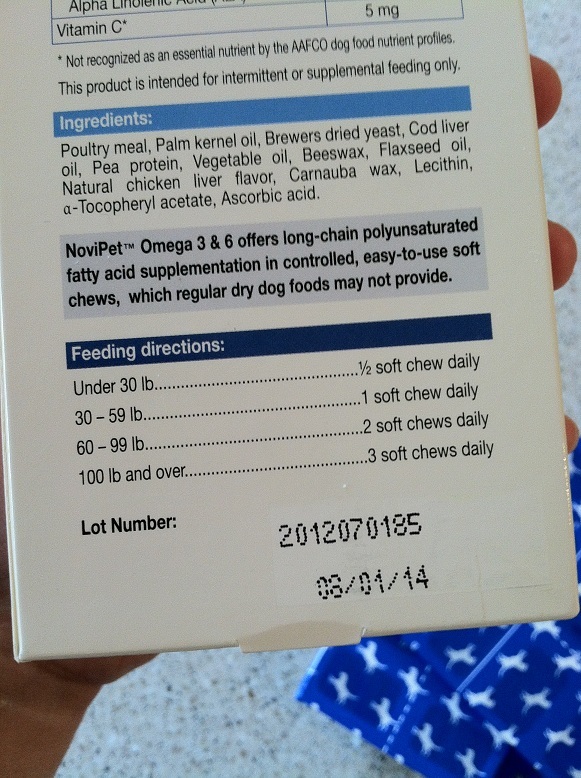 I have a small container in the fridge with Teton’s things (salmon oil, tooth gel (review coming soon), and leftover yam chunks) that I keep these supplements in and since I open the fridge every morning to stuff my face, it’s easy to remember to give these to him. It’s hard to tell if the Omega 3 & 6 supplements are improving Teton’s skin and coat just yet, but I’ll be sure to post an update in a few weeks. 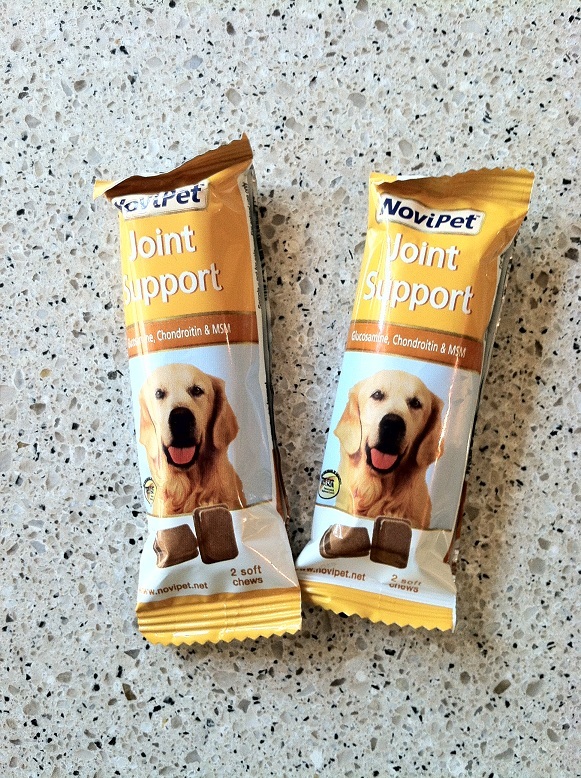 I’ll also let you know what we think of the Joint Support supplements, since NoviPet sent us a sample of those, as well. 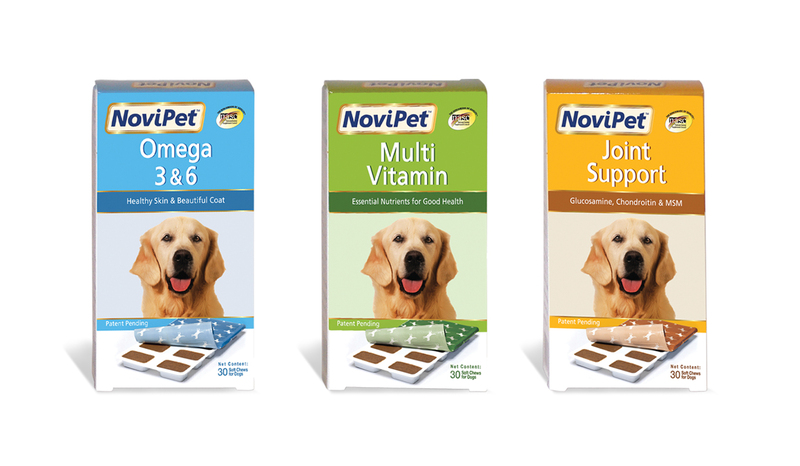 Check out NoviPet’s website and Facebook page for more information. Teton is getting ready for Halloween. He wants you to know that this is the only costume he’s going to put up with this year. 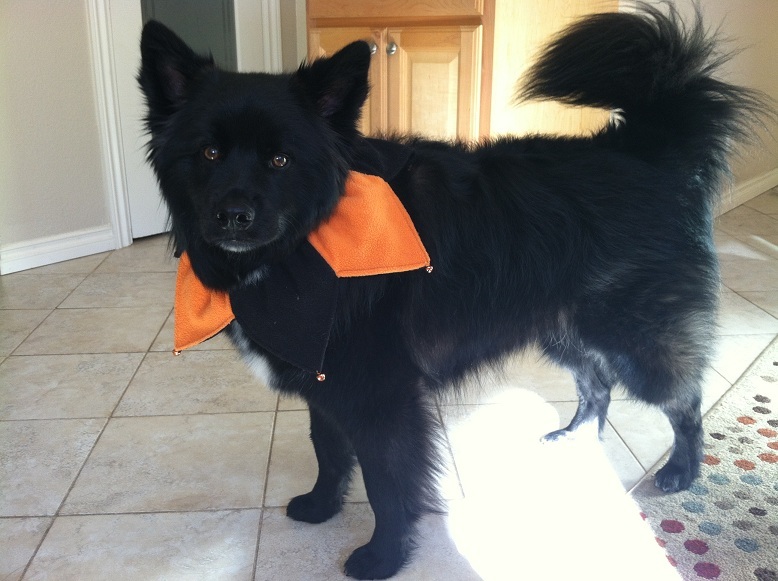 Are you dressing your dog up for Halloween? There are some pretty amazing costumes out there. Posted on October 9, 2012 by Shannon	This entry was posted in Medicine Cabinet. Bookmark the permalink.